This entry was posted in Canada Canada Immigration and tagged Canada Visa work permit on September 21, 2015 by Blog Author. The government of Canada has brought in a new scheme for the international students for those who completed their post-secondary education in this country. That is they can request for Canada post-graduation work permit, which grants them to stay and work in this country. The (CIC) of Canada has made many advancement to this program in order to make it much easy and active to the requirements of the overseas students. A 3 year work permit is obtained for the international graduates those who are under this program which allows them to work in any Canadian company or industry. These changes also allow the foreign students to work outside of their area of study. The main intention behind the implementation of this Canada post-graduation work permit by the Canadian government is to provide ample of opportunities to the overseas students and assist them in building their skills and also to gain work experience and to succeed in their lives. In order to make the international students face this current global competition this country is working hard to make it simple for them and also for the foreign workers who are formerly residing in this country with a temporary status. The main aim is to retain the foreign graduates with work experience, Canadian qualification and awareness with their society which leads to the increase of their country’s economy. Need to complete their full-time studies completely for eight months and more. Need to be certified from a public post-secondary educational institution either it can be a college or university. Or can to be graduated from any private post-secondary educational organization that follows the same principles and standards like that of a public institution which receives at least 50% of its funding from the government. Or it can also be an independent institution which is approved by the territorial or provincial law. Need to apply for the work permit within ninety days, immediately after receiving a confirmation letter from their educational institution. Need to have a valid study permit prior to applying for the work permit. Need to show the proof of the notification that they are suitable for their diploma or degree certificates. The minimum requirement for obtaining a 3 year work permit is a two year study program, or else if their study program is less than 2 years but more than 8 months then also they are eligible for this work permit program. 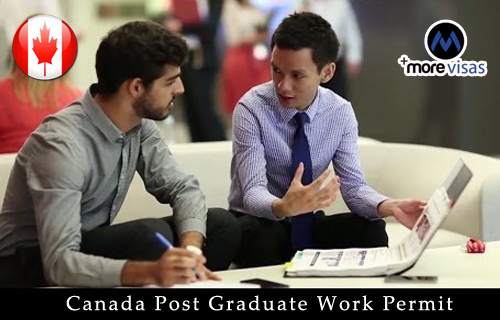 Thus, the Canada post-graduate work permit program helps the international students in providing ample of opportunities to work and live in Canada.